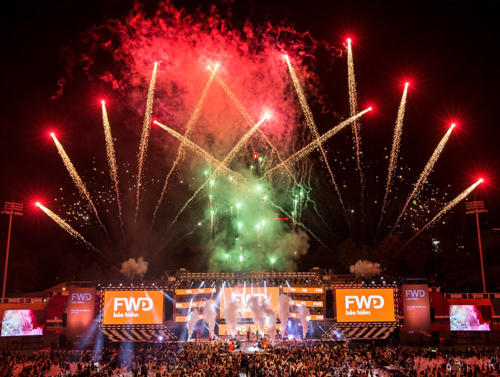 Although the FWD Music Fest night was closed last weekend, the singer still remembered the moment she and her colleagues danced before 20,000 spectators. 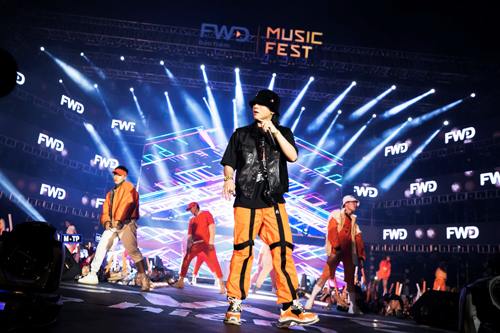 The FWD Music Fest, which took place at the 7th Military Stadium in Ho Chi Minh City last week, featured top stars, attracting 20,000 spectators. Toc Tien said “rừng người nhuộm sắc cam” is constantly cheering, flashmob adventure in her live performance and full of 60 dancers. This crazy moment makes the singer and colleagues excited, more “dance”. She also brought two songs “Có ai thương em như anh” and “Không ai hơn em đâu anh”. “The best thing is the image I want to fit in with the concept of FWD and many young Vietnamese. It is always making a difference, full of energy, and ready to explode”, said Toc Tien. Dam Vinh Hung made audience stand with three songs “Xin lỗi tình yêu”, “Một mình có sao đâu”, and “Hello”. 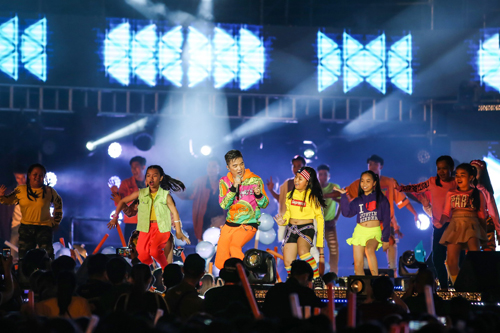 Orange in the costumes of singers blended with the color of the fans, bringing youthful, energetic. Son Tung M-TP also features fashionable black and white camouflage, “warm up” the stage with hits “Nắng ấm xa dần”, “Chạy ngay đi”, and “Em của ngày hôm qua”. Ho Ngoc Ha invested in costumes and impressive hairstyles. She performed the song “Bay theo ngân hà”, “Destiny”, and “Em muốn anh đưa em về”. 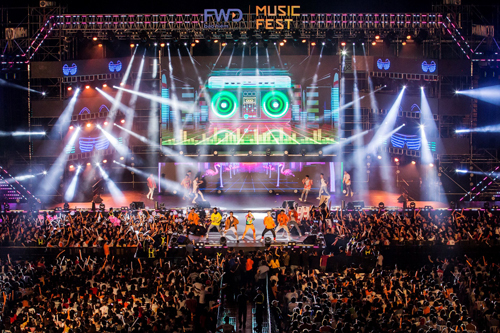 The FWD Music Fest was originally organized by FWD. The program does not sell tickets but aims to customer appreciation and convey the message to the community early protection. Many viewers find the voyeuristic interest with investment performances of the stars with space and scale theatrical extravaganza.